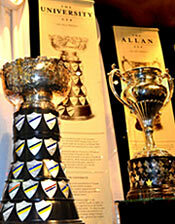 of the most prestigious silverware of North America bookend the Hometown Hockey multimedia screen. Hometown Hockey is a salute to North American grass roots hockey. 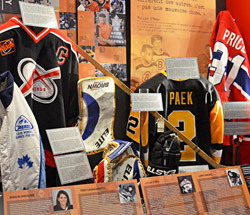 This expansive zone contains showcases featuring artifacts, photographs and historical information pertinent to the various levels of hockey in Canada and the United States. Numerous league histories are featured, both current and defunct, as well as extensive coverage on women's and disabled hockey. 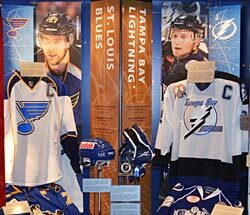 The zone also features "Franchise Alley"  one of the Hockey Hall of Fame's newest exhibits which highlights the stars and history of each NHL franchise through a series of 15 showcases. Also housed in the Hometown Hockey zone is the Changing Face of Hockey - Diversity in Our Game display. The permanent showcase brings to light the challenges faced by marginalized people across North America in their struggle for social equality and acceptance in the great game of hockey. Highlighted within the display are four significant issues that helped shape today's game - Ethnicity in Hockey, Marginalized People in Top Level Pro Hockey, Women in Hockey and Disabled Hockey. At the epicentre of the zone exists the Hometown Hockey theatrical multimedia exhibit. 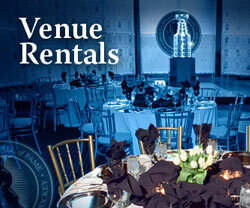 This cathedral-like area pays homage to the millions of individuals and teams that have shaped the game. 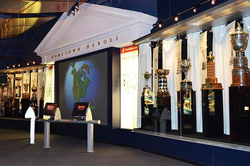 Visitors can call up hockey information on virtually any North American city through a dynamic Land-sat "Geo-Hockey" interface, and explore the city's noted players, trophies, and championships in addition to recognizing donors who have contributed to the Hockey Hall of Fame's 'Preserve Our Game Campaign'. Visit the USA Hockey website. 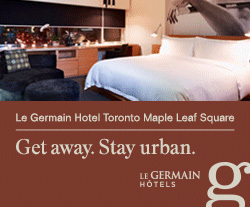 Visit the Greater Toronto Hockey League website. 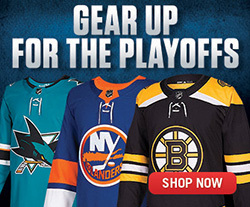 Visit the Ontario Hockey League website. Visit the Ontario Minor Hockey Association website. Explore our NHL Player Search by our place of birth and amateur team index.